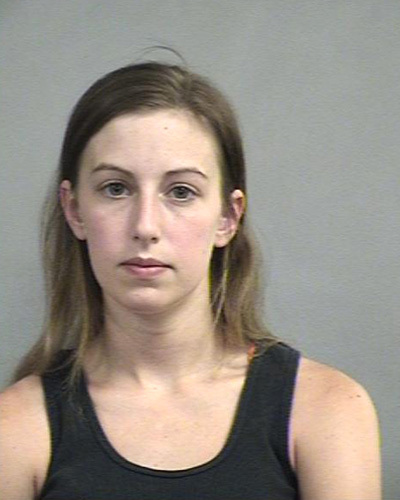 A Kentucky woman was arrested yesterday after leaving her two young children in an unlocked car while she got a Brazilian wax at a Louisville salon, police report. While the vehicle’s front windows had been left cracked open, the boys were “hot to the touch and very sweaty” according to a police report that notes Louisville’s temperature Wednesday was 84 degrees (with a heat index of 87 percent). When Kippes returned to the car from “getting a wax job,” she told police that she was “OK with leaving the kids” in the auto while she was in the Clique Waxing Boutique. The business owner told cops that she had asked Kippes “if she had kids and she said no.” Kippes paid $60 for the Brazilian wax. In addition to the child endangerment count, Kippes was also charged with a pair of drug charges after cops found a crushed up pill and a “snorting straw” in the car. Kippes is locked up in the Jefferson County jail, where bond has been set at $500 on the child endangerment rap. Seen in the adjacent mug shot, Kippes is scheduled for a May 30 court appearance.